(EN) Magazines, once the voices of entire generations, have today diminished in scope. But their enticing covers and tangible nature still hold a timeless appeal. (EN) As aesthetic objects that we read, re-read, and collect, magazines offer an analog alternative to the daily digital barrage. 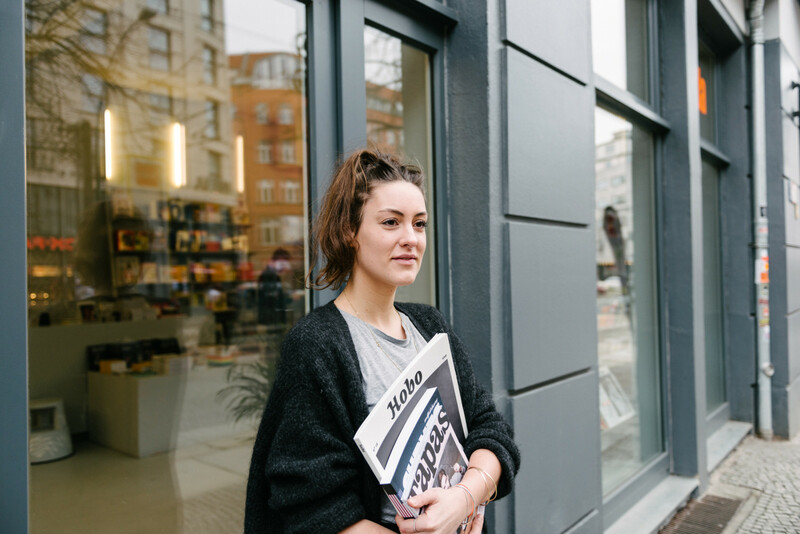 We spoke with head of Berlin’s Soda Books, Isabell Hummel, about the enduring role of magazines in the digital era. (EN) Isabell, lovely to meet you. What’s the story behind Soda Books? (EN) It started in Munich twelve years ago, where I’m originally from. I studied fashion journalism, so I was always connected to the world of magazines, but somehow found myself working in retail. I was running a pop-up shop across the road from the first Soda store when I met Sebastian, the founder. 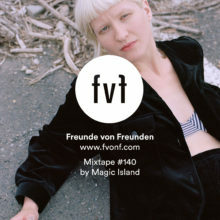 We became friends and in 2015 we opened a new shop in Berlin together. (EN) And what kinds of magazines do you stock? (EN) Because of the location, we get lots of tourists, but our main customers are creatives from the agencies that populate this district. They come in knowing what they want, but they also want to be inspired. So we always try to have a good mixture of the obvious titles and those that people don’t know, the weird publications that are new and inspiring. (EN) What makes your medium special? (EN) The real appeal of magazines is their physical nature, having something in your hand. The feel, the smell of the paper, being able to stack them in your home—there’s something tangible and real about reading a magazine. It’s a different experience, more personal than other mediums. I like reading in general, books too, but I’ve never owned a Kindle. Every time I travel, I overpack with books because I like having a real object in my hands and seeing how far through it I am. (EN) You don’t get that with an infinitely scrolling website! (EN) Exactly. But magazines and websites differ in another way too. Making a magazine takes a long time. They have big teams behind them that discuss the topics, plan, and research ideas. They spend a lot more time on production because the costs are so high. Once you print, there’s no revision. It’s permanent, and that means magazine content has to be good. If you’re scrolling through a blog, on the other hand, you see content one day and the next day it’s new. (EN) A website, though, facilitates comment. How does a magazine interact with its audience? (EN) Magazines, as we all know, aren’t having the easiest of times. They have to be very conscious about who their target audience is. But by establishing a trusted look, feel, tone, and visual, magazines create something palpable that their reader can relate to. Monocle, for example, has built up a culture around their magazine. It’s bought mostly by men, and I see the same men come every month to buy it. They know it’s going to give them something of value each time, a good overall look at the topics they’re interested in. That’s how magazines relate to their readers, by building a culture. (EN) Sometimes customers want cheap, trashy magazines. Why don’t you stock those? (EN) We prefer to stock magazines that aren’t well known. I mean, a Cosmopolitan is like a coffee from Starbucks: everyone knows it, everyone buys it. Why not? It’s there. Our selection is more like a nice cozy coffee place that you go to because you know you get the finest stuff there. It’s a bit more expensive but you know it’s good. (EN) It’s common to see piles of magazines in homes or businesses. What makes them so persistent? (EN) I think it’s because magazines are, in a way, collectors’ items. They’re a moment in time or a rare perspective. Take Mirage, the fashion magazine. People go crazy collecting it, because they don’t know when the next issue will come out. We sold it here for 20€ per copy, and it sold out quick. But people still come in today asking for it, and a customer once told me he’d found a copy online for 70€! They only increase in value. (EN) So there’ll always be a place for magazines. (EN) Always. For me, I need a moment sometimes, to really sit down and read a magazine. The laptop is open all day. I’m always on the internet. Everything online gets thrown at you. It takes a conscious decision to look at a magazine, to become absorbed in it. It’s a “me time”, a conscious moment that you take for yourself, either because you want to be inspired or because you need time offline. When I read a magazine, it’s “off time”. (EN) your colorful shelves brightened our day. It’s fascinating to think about the roles that magazines play in a digital space. Check out Soda Books online (the gifs are incredible).